Mandy, my new friend called me last week because she wanted to give Steve, her BF a special surprise gift for his birthday. Disclosing only our address, she sent Steve to us. Upon arrival, I gave Steve a personal letter from Mandy which presented the details of his gift – a beautifully made custom shirt! After a fitting Steve was given a personal tour of our factory. He picked a luxurious plaid fabric and decided on the design details of his shirt. Two weeks later – the shirt is ready and looks great! I trust this will be Steve’s new wardrobe favourite, all thanks to Mandy. 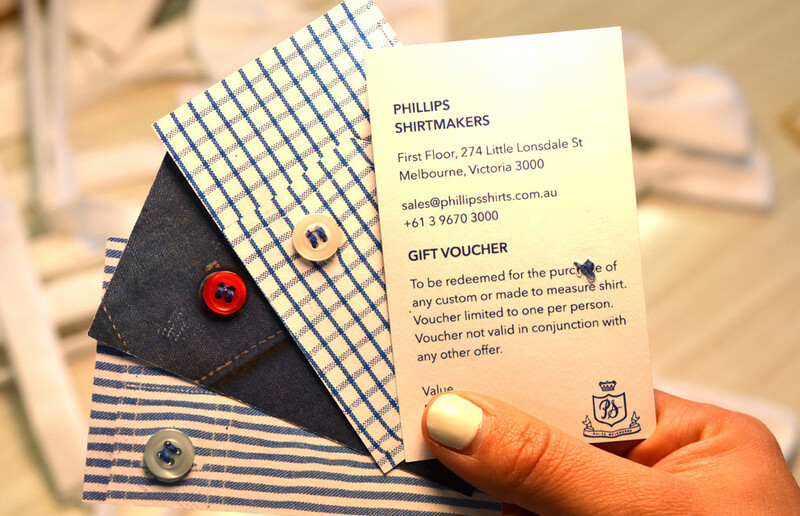 Our gift vouchers can be made to any value and offer a very personal experience. 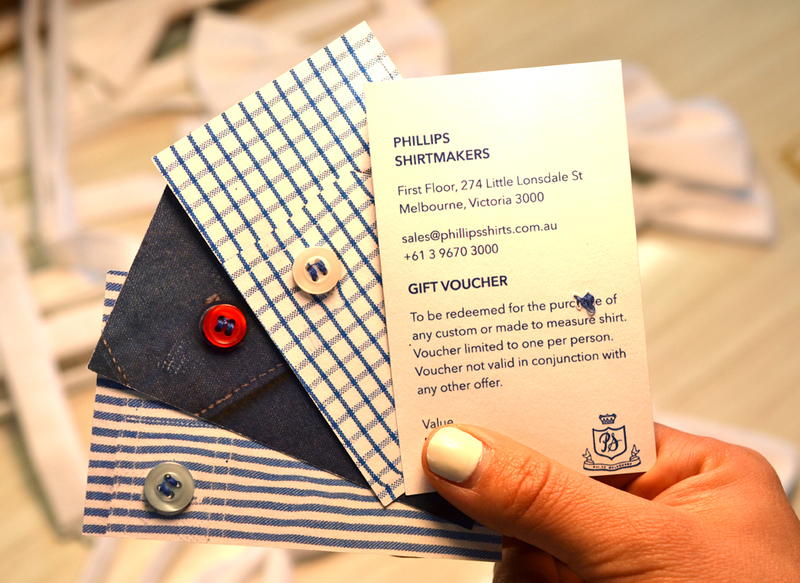 Make your present unique and memorable by offering a customised Phillips Shirt. Contact us to arrange your gift voucher.